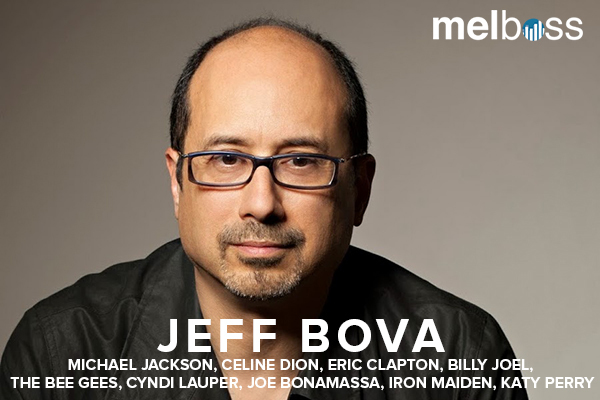 We had a great time talking with Jeff Bova: Grammy Award-winning keyboardist, composer, arranger, record producer and our latest Melboss mentor. His passion, experience, and talent make him one of the industry’s most sought-after and respected arrangers, programmers, and composers. With a career spanning 40 years, Jeff has appeared on over 300 albums, with over a hundred platinum and gold-selling records to his name. The long list of artists he worked with goes something like this: Luther Vandross, Celine Dion, Michael Jackson, The Back Street Boys, R. Kelly, Iron Maiden, Eric Clapton, Tina Turner etc. I began as a touring musician, which led to session musician, programming and arranging for major artists. From there the next step was producing. I went to both Berklee School of Music and Manhattan School of music. I also studied composition and arranging at Manhattan as well as privately. I learned production from the legendary producers, engineers and artists I have worked with. 2. What makes a great producer? The ability to inspire the best from an Artist creatively and as a performer. Create a recording that not only reflects the artists vision but is unique, relevant and marketable. 3. You’ve worked with everyone from Michael Jackson to Celine Dion. How have these partnerships come about? It has always been about relationships and word of mouth. Being someone who listens, is creative, contributes it generously to every project, professional and easy to work with. 4. What’s one of your most unique qualities as a record producer? Because I have played almost every genre of music as a session musician, I have a deep understanding from the ground up what makes a song and track come to life. Here’s an very unique quality: I’m a certified Core energetics practitioner. This training allows me to help artists uplevel their creative and performance energy in very powerful ways. It also helps them free up creative and performance blocks if they encounter them while recording. 5. What do you think of modern production? Whatever one feels about modern production techniques, if it is engaging and captures a moment in time I’m all for it. I learn something new every time a new artist or producer brings something that engages me. Doesn’t matter if it’s acoustic, electronic or a combo. Great music touches the heart, inspires the soul, makes you want to move and changes the world we live in. 6. What advice would you give to somebody who is just starting out? Be ready and willing to do the work you need to do to be your best. It does not happen overnight.Surround yourself with mentors and teachers who will help you excel at all aspects of your talent. Be a perpetual student of everything you do including life. As an artist you reflect this back to you audience. Previous articleArtist applications for the Melboss Open 2016 are now open.